Construction was divided into three phases due to the project’s enormous scale and complexity, as well as to minimize disruption to academic operations. 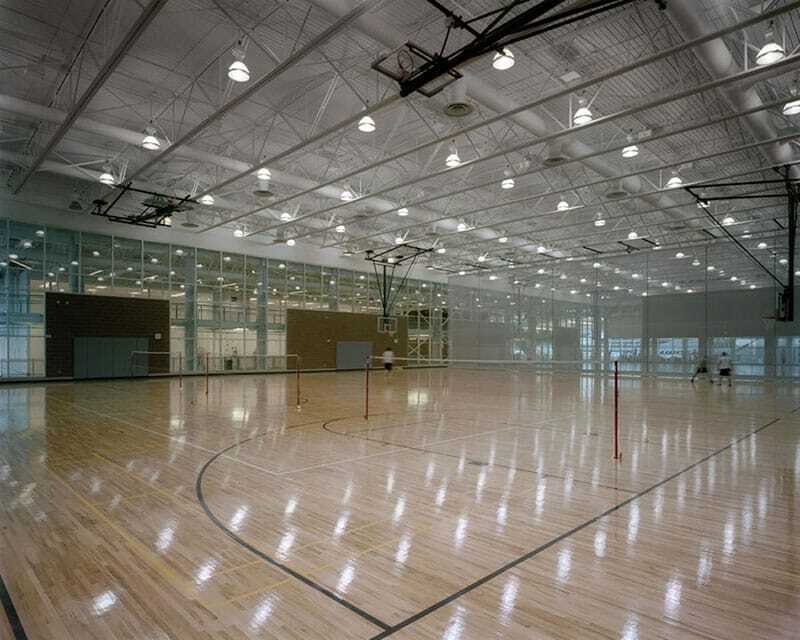 Phase1 included an off-site Adventure Recreation Center; Phase 2 included the Recreation Center/Natatorium and a 1,000-car parking structure; and Phase 3 included the Physical Activities & Education Services building. 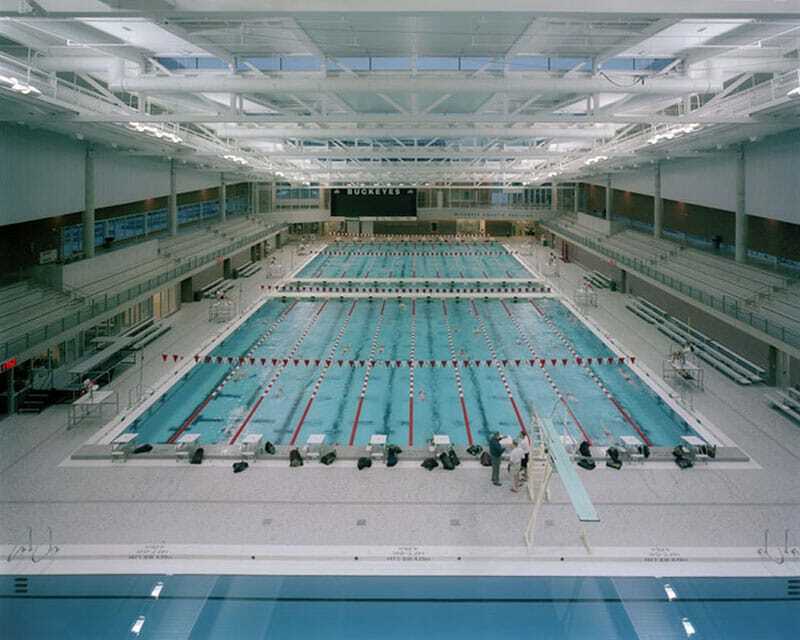 Totaling 650,000 SF, the complex includes a seven pool aquatic center, basketball, volleyball, badminton, racquetball and squash courts, more than 27,500 SF fitness and conditioning space, student wellness center, synthetic turf gymnasium, as well as a climbing wall and outdoor adventure center. 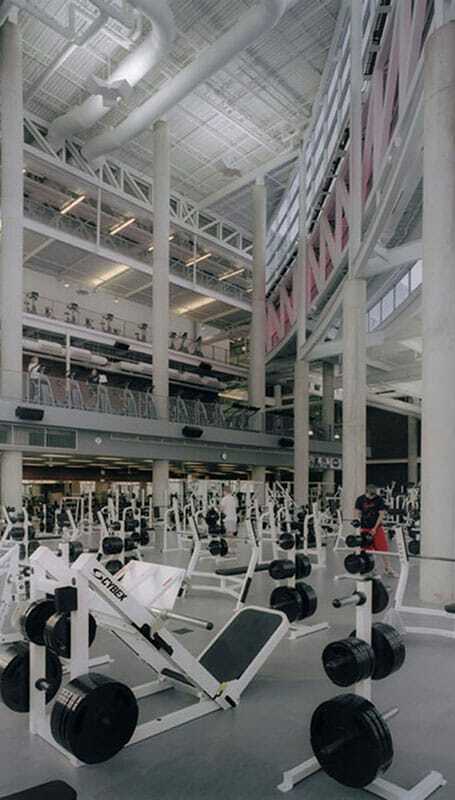 The world-class facility is the result of Antoine Predock’s vision and compilation of abstract shapes into a formidable design that is at the heart of the OSU student wellness program. Early in design, Predock’s team sculpted numerous clay models to communicate his vision to OSU and the construction team. 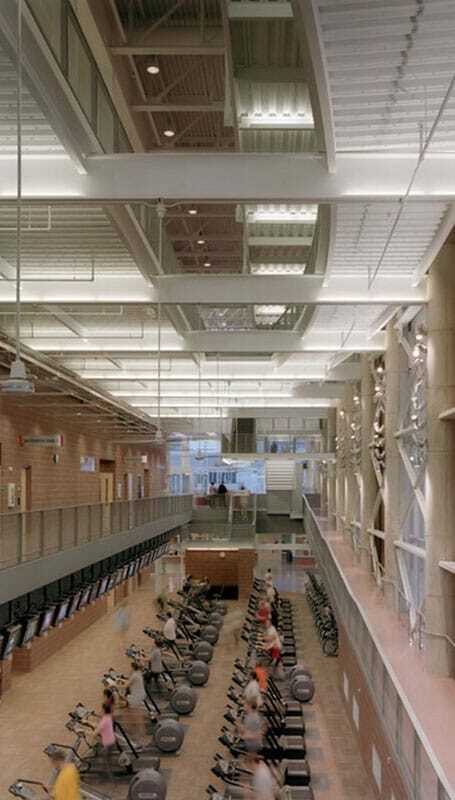 With an intense focus on contemporary design blended with functionality for the students, the design team of Predock and Moody Nolan incorporated over $8 million in architectural concrete, expansive use of exposed structural steel, AESS and ornamental metals, and more than 10 different glass types to achieve the intended design. Architects on the project include Antoine Predock Architect PC / Moody Nolan. To ensure subcontractors carried the architect’s vision through to construction, numerous mock-ups and benchmarks were constructed and Gilbane meticulously planned every detail of the architectural elements. The end result was an architectural masterpiece that quickly became the hub for student activity on campus and a cornerstone for contemporary design practice for future OSU projects.